If you have an interest in building a birdhouse, it is important that you understand that there are a few factors that must be considered prior to initializing construction on your project. Suitable nesting areas are an absolute and vital requirement by all bird varieties. 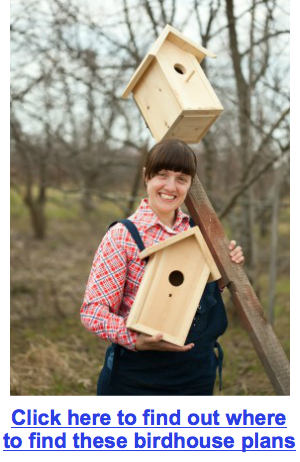 If you enjoy the appearance of birds, the sounds that they make, and/or the companionship of birds, then building a birdhouse to accommodate the nesting needs of the creatures is a project that you are likely to be extremely enthusiastic about. 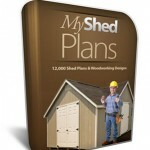 It does not matter if you are new to woodworking, or a seasoned professional, you are sure to benefit from the information contained in this birdhouse building guide. Here, you will be introduced to the factors that you will need to consider prior to starting on your birdhouse woodworking project. It is not enough to simply know what tools will be required, or how to put the pieces together. 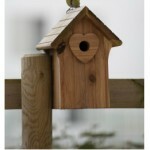 You must also know certain facts about the birds that will nest in the birdhouse that you build. 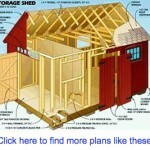 Once you know this information, you will find that the woodworking aspects of building a birdhouse are quite simple. The birds that are identified as a “Cavity Nester” are those that require a well-defined cavity in the wood of their birdhouse so that they may construct their nests and, eventually, lay their eggs. The most common types of cavity nesters that are known to take advantage of human-constructed birdhouses, are woodpeckers, the beautiful bluebird, and even chickadees. Birds that are identified as “Open Nesters” prefer to construct their nests on open branches of trees, as well as shrubs. The most common types of open nesters that are likely to frequent a properly built birdhouse for their needs, include the cardinal and the robin. The main purpose and intent for all birds, when it comes to nesting, is to prepare a place to lay their eggs and a place where they may raise the young once they have hatched. Once the adult bird has accomplished this task, it typically abandons the nest within the birdhouse and relocates. The same birds may actually come back to the same birdhouse several years in a row. When outlining your woodworking project, it is imperative that you determine what size the hole should be on the final product. In order to make this decision, you should research the bird variety that you are interested in attracting and determine their preference in hole size. If you are building a birdhouse for a bird that is considered to be a cavity nester, you should determine how deep the interior cavity should be to ensure the comfort level of the bird variety that you wish to attract. The next factors that you must put some thought into are the dimensions for the interior region of the birdhouse, as well as the overall design and/or shape of the structure. 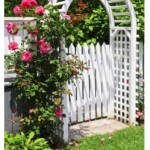 Once you have the basic design scheme and theme outlined, you should then determine what types of materials that you should use when building a birdhouse. Once you are ready to start building a birdhouse, you must gather the tools and supplies that are necessary for the successful completion of the project. All bird enthusiasts agree that all birdhouses should be constructed of wood. This material is considered to be exceptionally durable and highly porous. When constructing the bird home, it is important to make certain that the moisture that enters into the structure and the heat that accumulates in the structure is able to escape with ease. Not only does this protect the birdhouse – as a whole – but it positively impacts the general health and livelihood of the birds that elect to nest in it. 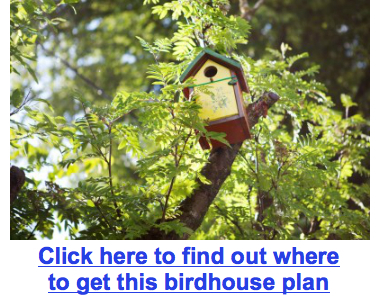 Additionally, a removable panel should be installed when building a birdhouse so that the structure may be cleaned once the internal nest has been abandoned, (similar to the one held by Myra in the top photo on this page). Lastly, it is important to only treat the wood or stain it with a preservative that is designed for natural woods. Using vibrant and/or bright colors will result in failure when it comes to attracting birds, as these animals desire an area to nest that they consider to be inconspicuous to their natural predators. Notice how the colors in the second photo above look visually appealing, but also blend well into natural surrounding areas. Choose colors that offer camouflage to your area. 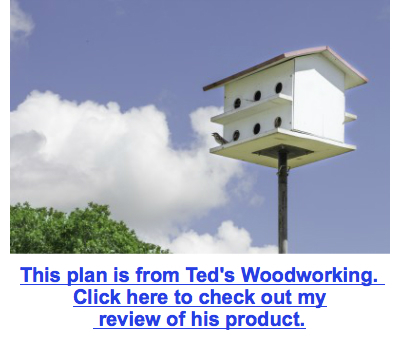 By following the steps in this birdhouse woodworking guide, you will find that your efforts in building a birdhouse and attracting birds are highly successful.